The Officers of the new Good Shepherd Council were installed by District Deputy Joseph Kulevich and District Warden Michael Mullins on Friday, September 18th. 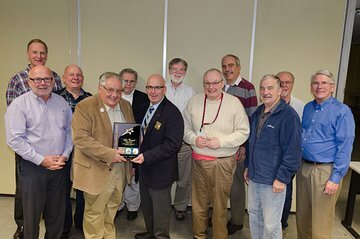 The MA State Treasure presented the Charter from the Supreme Council and presented the Jewels that represent the Office as the Knights received their charge of duties. Our Council has been active in the Parish beginning in February, including Altar Server Awards, a major fund-raiser for a parishioner, helping with meals for the Parish and a Car Wash, Upcoming events include the New Parishioners Brunch, the Tootsie Roll Drive, a Friday evening Pasta Dinner, A car-wash, pancake breakfast and the 5th Sunday Rosary Program. 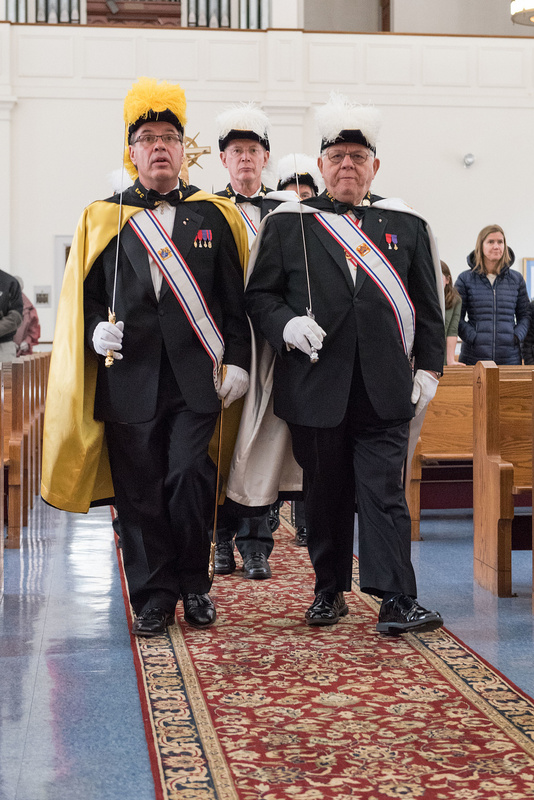 The Knights extend an invitation to all Catholic Men, 18 years plus to become a member. The benefits are many including, fraternity, family involvement, charity and growth in faith.